Prince Harry and his wife, the former Meghan Markle, launched their own Instagram account, Sussex Royal, in the latest step made by the couple to separate their household from other royal family members. "Welcome to our official Instagram; we look forward to sharing the work that drives us, the causes we support, important announcements, and the opportunity to shine a light on key issues. We thank you for your support, and welcome you to @sussexroyal - Harry & Meghan," the Duke and Duchess of Sussex wrote Tuesday in their first post featuring a beautiful logo (perhaps a nod to Meghan's calligraphy skills?) and a collection of photos. The couple had previously shared photos from their official events and travels on the Instagram page maintained by Kensington Palace. But that site includes photos of activities by Harry’s brother, Prince William, and his wife, Catherine, the Duchess of Cambridge. While @sussexroyal will be the dedicated handle for coverage of activities by the Duke and Duchess of Sussex, @kensingtonroyal will remain the social media handle for William and Catherine. Joint engagements will be covered by both platforms. "Welcome to Instagram, @SussexRoyal!" Kensington Palace said on its page in a post featuring a photo of Harry and Meghan. Harry's cousin Princess Eugenie also welcomed the couple to the platform. The new page represents a continuation of efforts by Harry and William to formally separate royal households the two brothers once shared. The split comes as Harry and Meghan, who will celebrate their one-year wedding anniversary next month, prepare for the birth of their first child this spring. The brothers have lived close to each other in separate apartments within Kensington Palace household for the past decade. 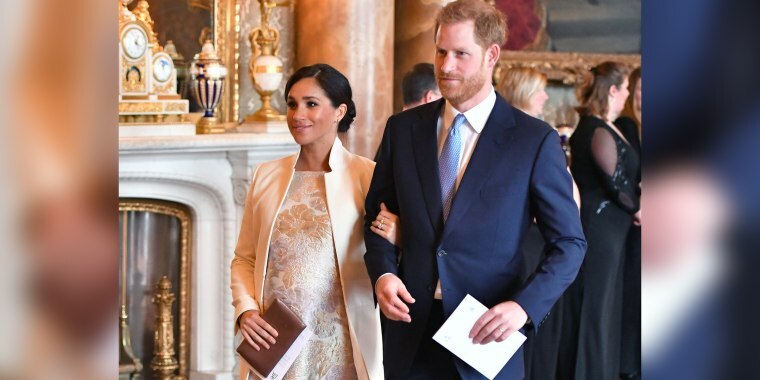 But following Harry's wedding to Meghan, the Sussexes made plans to move from their London home to Frogmore Cottage on the Windsor estate. The couple also recently announced the pair's new office will be based out of Buckingham Palace.